Growing up, my friends and family modeled themselves after the characters they saw on television—from my brother at the age of seven desperately wanting to be a Power Ranger to my girl friends at the age of fourteen wanting to be Desperate Housewives. The depiction of females on television has an important impact on who young girls later aspire to be. There are four female scientists on television that lend amusement to the college Scientista (in between problem sets of course) and are good role models for those middle school Scientettes as well. Dr. Temperance Brennan, or “Bones,” is a forensic anthropologist based off the character created by Kathy Reichs. Interestingly, Reichs is a forensic anthropologist herself. Using science, Bones solves seemingly impossible cases with the FBI. The show is incredibly engaging and involves many other great characters--Angela Montenegro (a forensic artist), Dr. Jack Hodgins (an entomologist) and Dr. Camille Saroyan (the head of the Forensic Division at the Jeffersonian Institute and a pathologist). Each character has different strengths and displays different facets of science. Bones shows some of the eccentricities typically associated with female scientists, such as lacking understanding of certain social graces. Abby is the forensic specialist in NCIS. Hilarious, witty, quirky and Goth, Abby is not only incredibly smart but also full of character. Her skills and knowledge are crucial for solving crimes and investigating the deaths of naval officers. Although many would point out that Abby’s long pigtails and black platform Doc Martins are not exactly lab protocols, her charm makes up for the lack of realism. Bernadette and Amy are both PhD scientists in The Big Bang Theory – Bernadette with a PhD in microbiology and Amy with a PhD in neuroscience. The show is hilarious, although the hilarity comes in no small part from the stereotypes of the scientists portrayed. Nonetheless, the Scientistas are hilarious and are great additions to a previously male-dominated scientist cast. 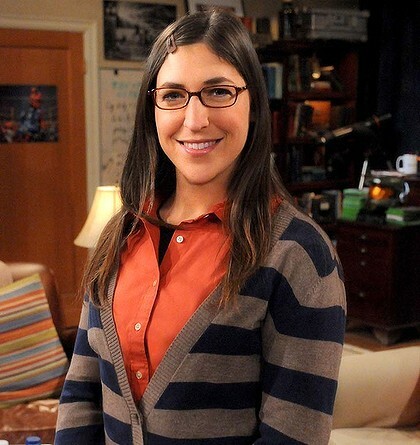 In addition, Mayim Bialik, the actress who portrays Amy Farrah Fowler, has a doctorate in neuroscience. While television producers still seem fascinated with the stereotype of the geeky and socially awkward female scientist, their female scientist characters also portray intelligence and great characteristics that are true of real female scientists. I found inspiration in Bones’ ability to see both the finite details and bigger picture while solving crimes, and in Abby’s drive and desire to stay true to her style and personality. So for young and “old” Scientistas alike, during those free moments of “vegging” on the couch, feel free to switch on these shows and enjoy. Who is yourfavorite fictional Scientista? Leave a comment!